People with oily skin usually have big and visible pores. 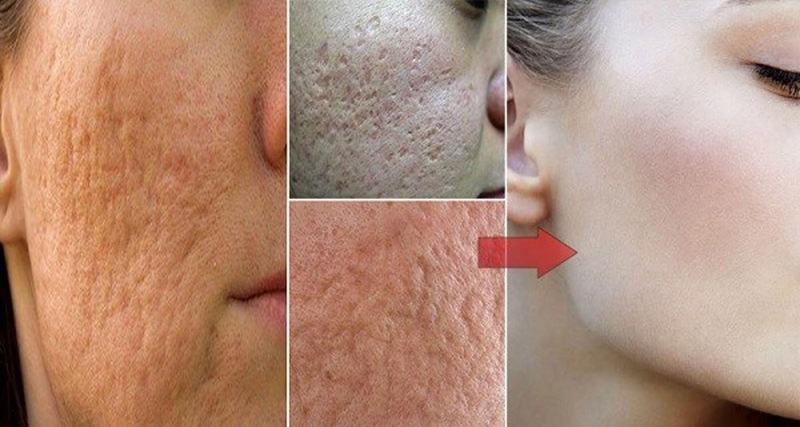 They usually hate these pores and try to make them less visible and shrink them. There are numerous products on the market that can tighten the skin and reduce the appearance of the large pores, but these products are usually over the counter. The good news is that you can now prepare your own natural remedies at the comfort of your own home and eliminate the problem! Mix two tablespoons of baking soda and two tablespoons of water. You will get a paste which you should apply on your face and let it dry for about 15 minutes. Once the mask tightens, wash your face with cool water. Peel a cucumber and crush the flesh. Then, add several drops of lemon juice and a teaspoon of rosewater to the cucumber to get a mixture. Take a clean cloth and put the mixture in it. Fold the cloth and apply it to your face. After a while, wash your face with cool water. You can prepare a natural face mask using a few drops of lemon juice and two egg whites. Once you make the mask, apply it to your face and wait for several minutes until it dries. Then, wash your face with cold water. This mask will help you tighten the pores on your skin, but it will also help you eliminate the dead skin cells and the oil from your skin. Put several almonds in a small container with water. Leave them overnight so that they soak the water. Mash them the following morning and make an almond paste. Add a teaspoon of lime juice to the paste and apply it onto your face. After 30 minutes, wash your face with cold water. Take half a lemon and squeeze the juice. Then, add half a cup of pineapple juice to the lemon juice and mix well. Next, take a clean cloth and soak it in the mixture. Place it on your face, letting it stay for five minutes. In the end, wash your face with cool water. Pineapple contains enzymes that help in skin cleansing and tightening. It has even better effects when it’s combined with the astringent effect of the acid in the lemon juice. Enjoy the renewed skin on your face using these wonderful masks!